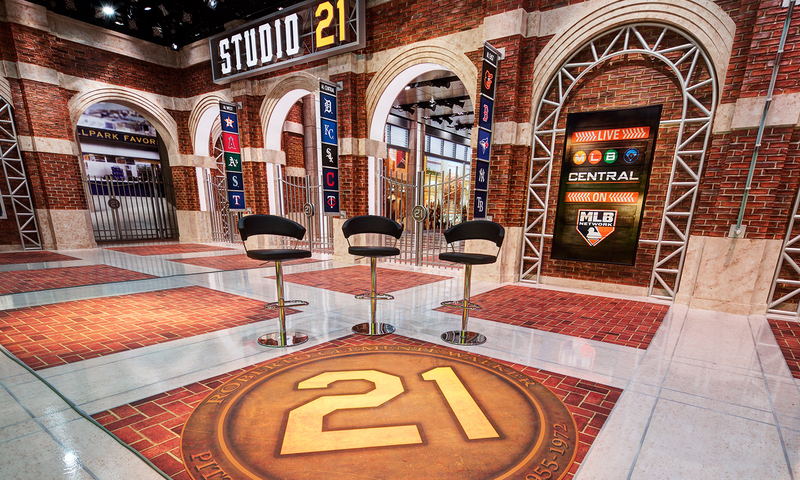 MLB Network continues its tradition of celebrating legendary players of the game with Studio 21, named in honor of Hall of Famer Roberto Clemente. 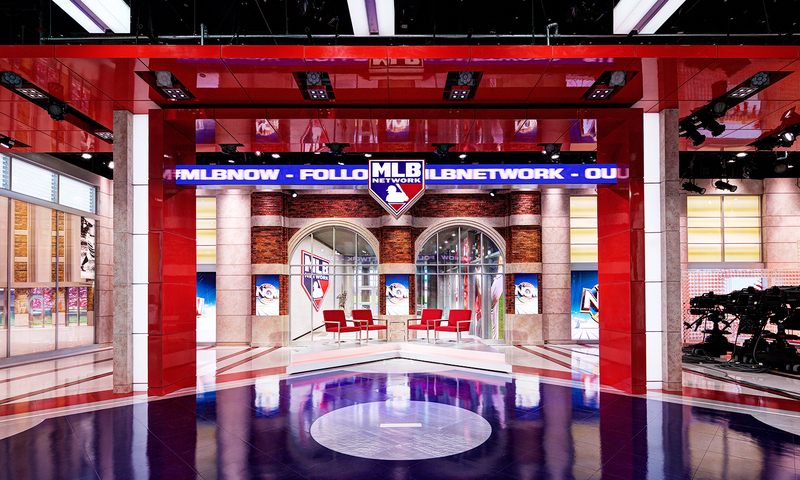 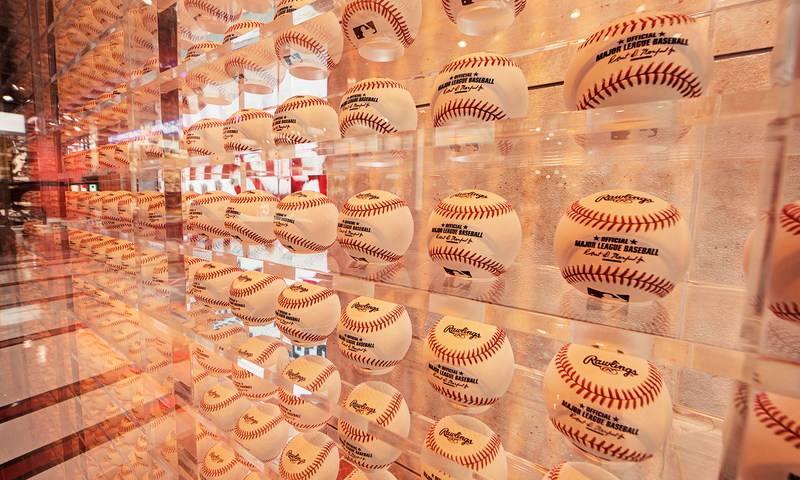 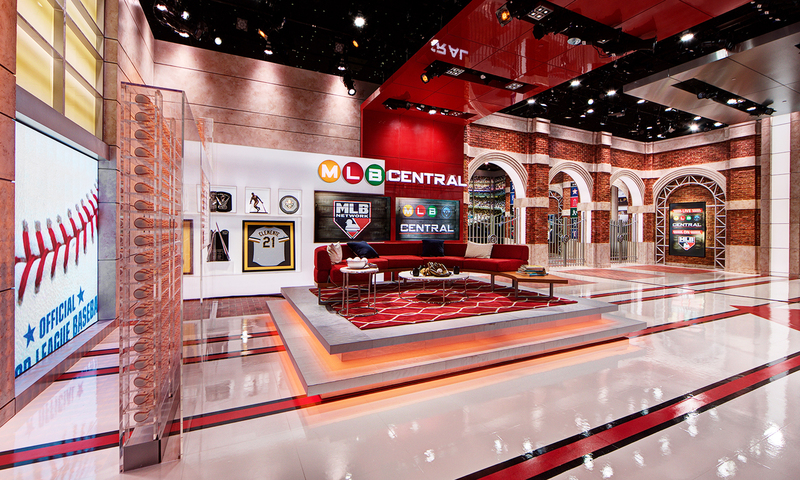 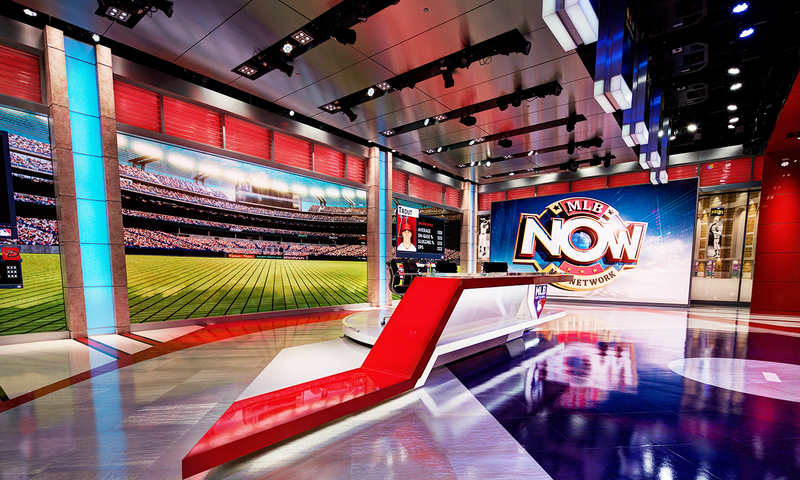 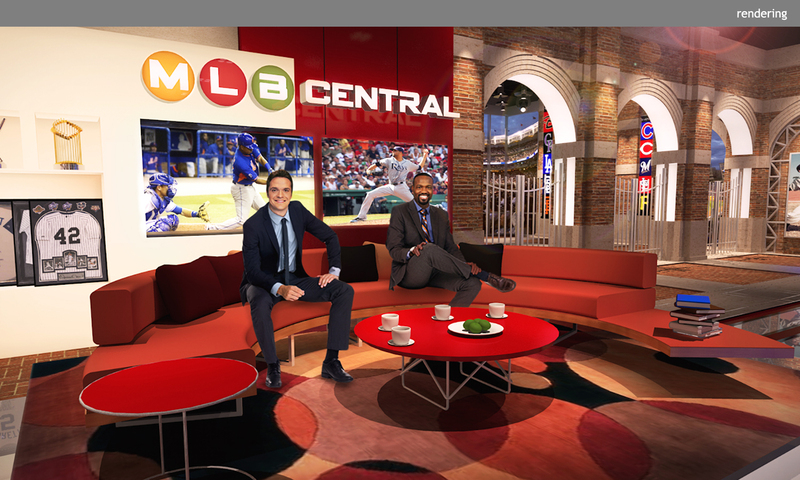 Home to three daily shows — MLB Now, Quick Pitch, and MLB Central — the 8000-SF studio recalls the game’s foundation by combining historic imagery with iconic elements of stadium architecture. 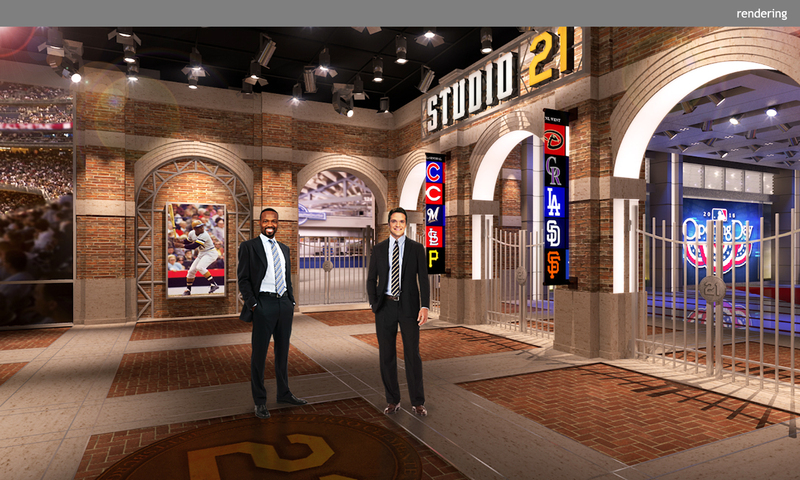 With its arched brick entry gates, the authenticity of the space convinces you that you’re about to grab a seat at the ballpark. 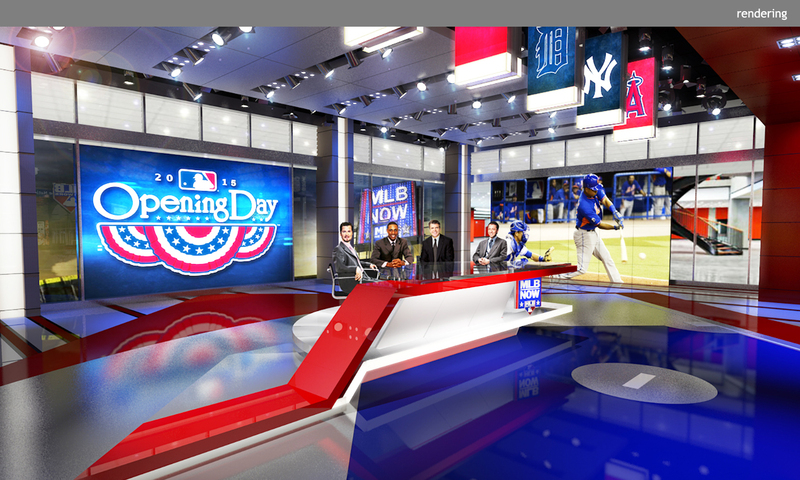 At the same time, the design reveals the modernity, immediacy, and depth of access of today’s game. 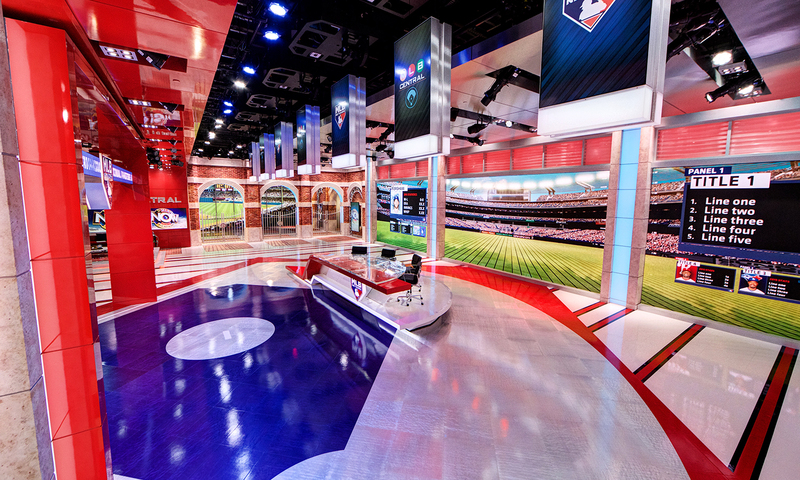 Over 1400 SF of high-resolution LED video wall and “flying” monitor banners — automated to raise and lower from the ceiling — join to satisfy baseball fanatics by ushering the most exciting plays and latest stats directly into the studio. 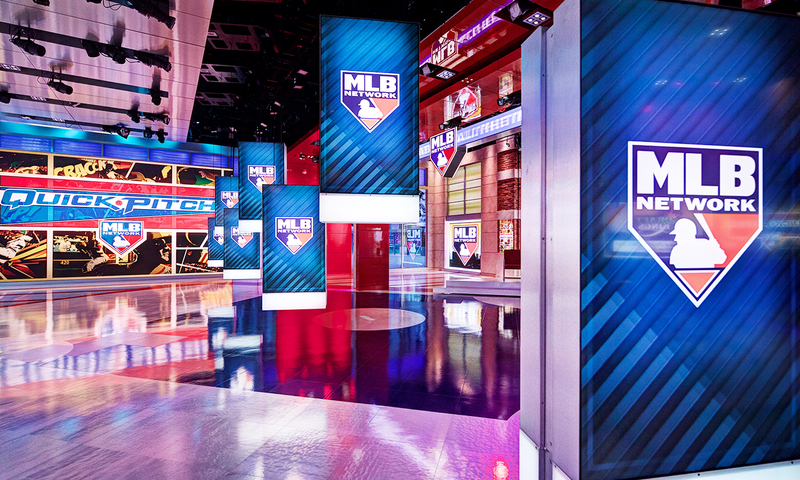 Technology is further used to afford the space the flexibility to create rich, distinct, and exciting environments for each show, allowing MLB Network to deliver the future of the game with a perspective unlike any other network.